Dr. Merguerian spent a lot of time in a dental office while she was growing up. When she was 13, she started working at her father’s practice where she would file charts, write postcards, and type ledgers. 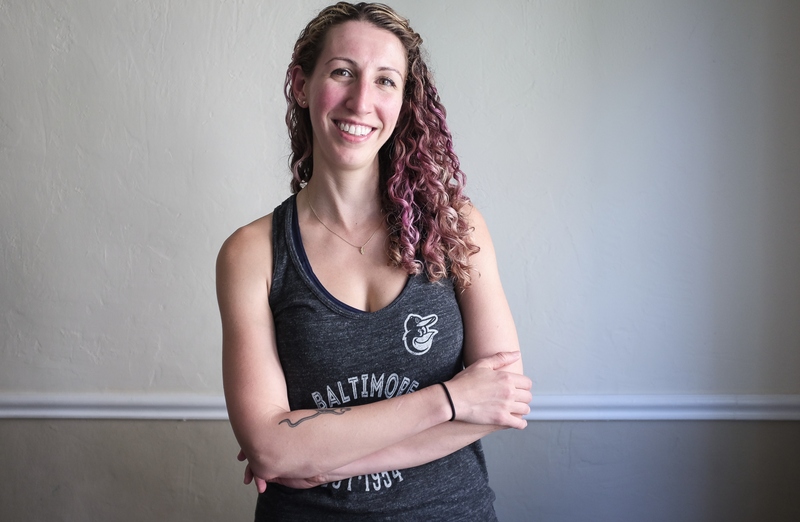 She helped her dad at his dental office for years, and would even work for him during the summers while she attended Johns Hopkins University to pursue neuroscience. 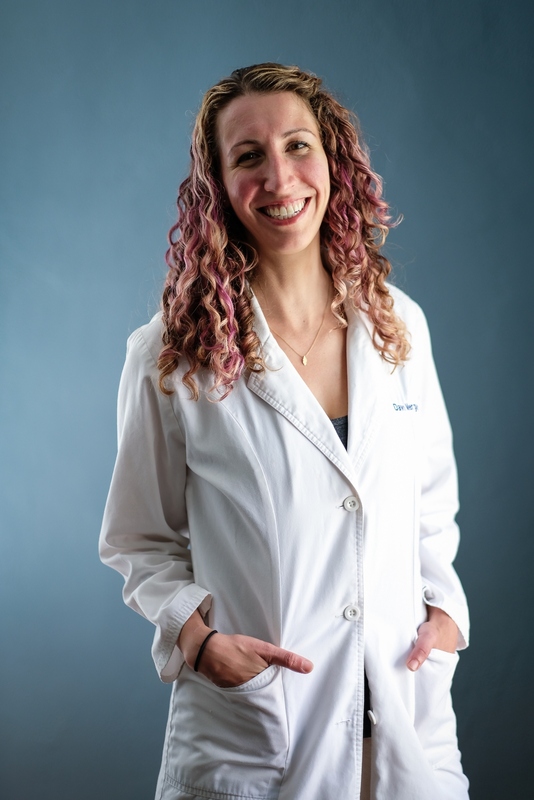 One summer, she witnessed the immediate gratification of a patient’s tooth extraction process-- the patient showed up to her father’s dental office in pain, and after treatment they left relieved and happy. This was the moment Dr. Merguerian decided to become a dentist. Dr. Merguerian went on to attend University of Maryland, Baltimore College of Dental Surgery for her DDS, and completed her residency at the Baltimore VA Medical Center in 2009. Since then she has continued to develop her skills in private practice and is dedicated to continuing education. This includes earning Fellowship standing in both the Academy of General Dentistry and the International College of Oral Implantologists. 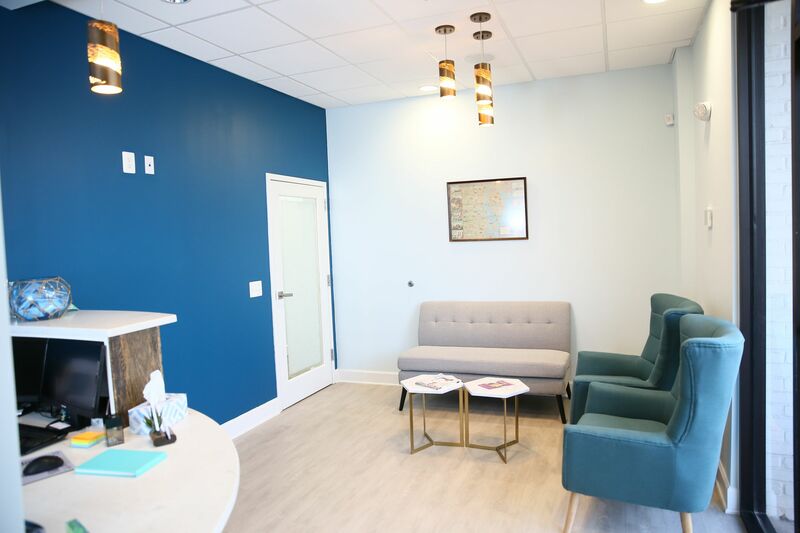 Now that she is opening a practice of her own, Dr. Merguerian feels honored to bring her passion for friendly, comfortable dentistry to Baltimore. When she’s not in the office, you can find Dr. Merguerian cycling through the city, running with November Project, or catching live music whenever she can. Did you know that seeing the dentist every 6 months can drastically reduce your chance of cavities? See what a professional cleaning can do for you! Whether your teeth need a little brightening, or you're ready for a smile makeover, our team is your best bet for getting the smile you deserve. Don’t let damage and decay turn into more serious or irreversible issues. Visit Waterfront Dental to see how simple restorative dentistry can be. Kelly has worked in dentistry for over 22 years, so you can rest assured that you’re in the qualified hands of an expert when you’re in her care. She brings extensive experience and a positive attitude to Waterfront Dental, and her energy is contagious. Kelly loves helping patients achieve their dental health goals, and she feels honored to be a part of transforming a dull smile into a confident, bright grin. Kelly is proud to work at a state-of-the-art practice that puts patients first (and she also enjoys the amazing waterfront view!) When she’s not in the office, you can find Kelly spending time with her husband and their crazy rescue dog, Dexter. Kristi has worked in the Healthcare industry since 1994 and is extremely qualified to handle all our front office duties such as scheduling, billing, and insurance management. She brings a wealth of experience and enjoys interacting with patients to make them feel welcome and relaxed. In her downtime, Kristi loves spending time with family, friends, her daughter, and her boyfriend Phil and his 3 kids. Some of her hobbies include home improvement projects as well as gardening. 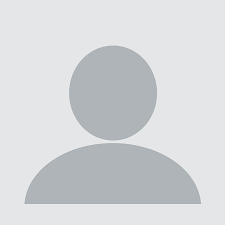 At Waterfront Dental, we take an upbeat approach to dentistry. Our team is personable and we strive to provide a great experience for every patient who walks through our doors. We will always take the time to get to know you and answer any questions you have about your dental health or treatment options, because we want you to be well-informed when you make decisions that affect your health. Visit our office today to meet the team and be a part of our patient family! The Waterfront Dental team is dedicated to leaving the world a better place than we found it. We do everything we can to be environmentally conscious and responsible. This means we use amalgam separators to capture waste and we utilize non-disposables wherever possible. We are also a paperless practice, so we use modern, digital x-rays. To learn more about our green practice or schedule an appointment, call us today! Your health and comfort are our top priorities at Waterfront Dental. Whether you’re in the lobby or the operatory, we make sure to provide amenities that will keep you at ease. We have a beverage station to keep you hydrated while you wait in the lobby, as well as TVs and headphones for entertainment in the operatory. 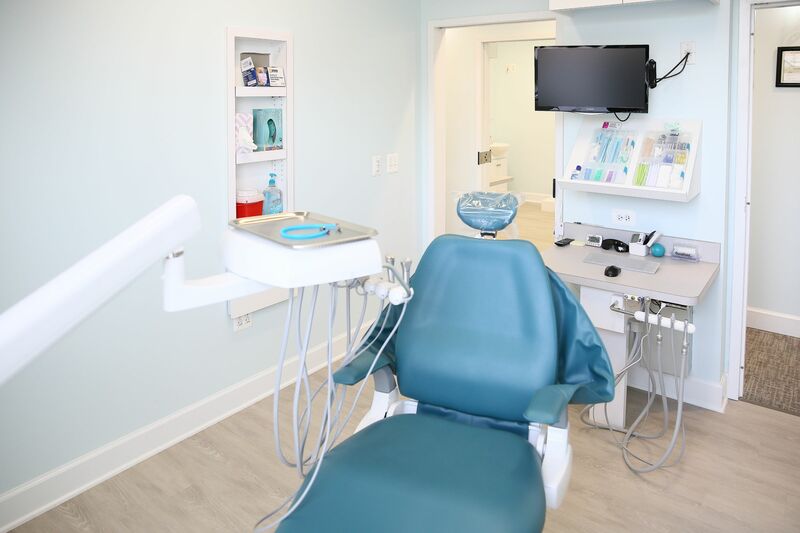 For patients who suffer from dental phobia or anxiety, we also have sedation options that will make your treatment pleasant and comfortable.